Taking a group of people on a short-term mission trip, or going as an individual can be a life-changing experience. There are some amazing things that can take place in the life of the people on the trip and in the lives of those they touch. But there are also some negative aspects of short missions that the casual observer may not readily see. For our purposes I would like to define short-term missions as a trip that can last from a few days to a few months. I am not necessarily talking about large projects that can take a year or two to complete. Though many define short-term missions as any trip shorter than two years, that is not the focus of this article. Also, I talk about mission teams and groups, but any of this can be applied to an individual or family that goes to visit a missionary on the field. Let’s look at some of the pros and cons of short-term missions so that you can better evaluate if a mission trip is the best way you or your young people can serve the Lord. The majority of missionaries will tell you that they were either called to missions because of a short-term trip, or that God used a mission trip to solidify their call or give further direction. There is no denying that seeing the field first-hand can have a big impact on a person’s life. The first mission trip that I took as a teenager was with a small group of maybe five or six people. Because I lived in Texas it was fairly trivial to drive to Mexico. There was not a big travel expense involved and paperwork was much less complicated in those days. I don’t remember how long we were there or even all the activities we were involved in. But every time I have gone on a short-term mission trip (which I do often), I am brought back to that trip in Mexico. I always get the same feeling of excitement to see what the Lord might do next. I have been on dozens of trips through the years. Though I would not say I was called to missions because of that first trip, I think it put me on the path to looking at missions as a way to serve the Lord. Many missionaries will tell similar stories about trips they have taken in the past. A friend of mine told me years ago that you will never fully understand what life is like on the mission field as long as you are holding a return-trip plane ticket in your hand. How true that is. Many times people will go on a short-term mission trip and feel like they understand the culture and hardships that the missionary faces, when really they get a glorified view of the mission field. It is possible for a person to think that the types of activities that the team did is what life on the field is like all the time. They think that the missionary spends 16 hours a day witnessing to the nationals. That the missionary holds large crusade meetings every night of every week. That the missionary gets to dedicate 100% of his time to ministry. What they don’t see is the missionary standing in line for five hours trying to get his license plate renewed. That the missionary’s wife spends two full days of the week running around town trying to get enough groceries for the family. Yet their friends back home does all their shopping in two hours a week. The short-term team member does not know about the 2 o’clock in the morning knocks on the door asking the missionary to come comfort a family who’s son had a tragic accident and was killed. All of that is put on hold while the mission team is present. The missionary gets a break from normal ministry to attend to the needs of the team. It is also possible for the team member to go back home with that expectation of the missionary life and think that they could never be a missionary because they can’t keep up that pace. Or, worse yet, think that the missionary no longer deserves support when the prayer letter comes saying that the missionary and his family took a week away from the ministry to go camping or take a much needed vacation. Remember that what you see during a 10-day trip isn’t all there is to living life on the mission field. Even if God doesn’t call a person to full-time missions through a mission trip, the team members will most certainly come home more burdened about missions and what their part should be. Those who have seen the field are more likely to become faithful supporters of missionaries. How can someone support missions better because of a trip? They will have a better idea of how to pray for missionaries. Those who went with a short-term mission team have seen some of the difficulties that missionaries experience on the field (though certainly not all). These people also have a greater desire to financially support the mission outreach of their church. If handled well, those returning from the trip can see that their financial contribution, no matter how small, can make a difference. It doesn’t always take a special $5,000 offering to help a missionary with a project. The visitor has a chance to see that $10 can help the missionary print more tracts, feed more orphans, or take his family out for a special treat. Sadly, many missionaries only see church growth when word gets around that rich Americans are coming to visit. You may not see yourself as rich, but if you have more than two shirts or more than one pair of shoes, you are rich in the eyes of the national. You show up on the field with a camera, an iPhone, new jeans, sunglasses worth more than many people make in a month and then you try to convince them you are not rich. If I didn’t have enough food to feed my family then I would begin to see the visiting missionary team as the rich people coming to take care of me. People from developed nations visit “the poor, uneducated masses” in developing nations and have the arrogance to think that the team’s way of life the only way to do things. And then the national is taught by the mission team that they are not smart enough or rich enough to do anything for themselves. They need to wait for the smart, rich American to tell them what to do. Sometimes people think that being on the mission field will help a person become a better witness for the Lord. The truth is, if you are not a good witness at home, you probably won’t be on the field either. However, a short-term mission trip can help instill boldness in someone to share their faith because of being around like-minded Christians. These people may not normally speak out for the Lord at home but find courage within the group. Many times they will go home excited about what they saw the Lord do on the field and then carry that burden to share the Gospel with their friends and family that they may have never witnessed to before. 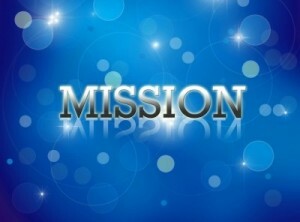 Con: Short-term Missions: Worth The Investment? Why does a team of 10 people from Ohio need to spend $35,000 to fly to Ethiopia to paint a church when they could have donated $400 to buy paint and let the church members do it? The church members could take pride in being part of the ministry and the additional $34,600 could have been invested in building a Bible school to train national pastors. This goes back to the rich foreigner. You claim you aren’t rich but you just flew on an expensive plane over many countries to arrive on the field. I know the money you used to get there was probably not sitting in your bank account. I know that your uncles and church family helped raise your support. But the national doesn’t understand that. All they see is a team of 15 teenagers who must have the richest parents in the world who have come to build a wall that the national could have done for a fraction of the price. And, the wall would have actually be built properly if the nationals were allowed to do it. For the amount of money that is invested in going to the field, consider that it may be a better investment to fund a mission project. Think about helping a career missionary make the move to the field with enough money to actually be able to get started without feeling like he is in a financial bind before he even gets into the ministry. Many missionaries look at the cost of quality language training and choose a cheaper option which doesn’t require two major moves (to go to school and then to the field of service). How much could $34,600 empower the career missionary to be a much more effective tool in the hand of God? This is not to say that you should never go on a short-term mission. You would lose all the benefits of actually being on the field if you didn’t. However, the benefits of a trip are only going to help those who are sensitive enough to the Lord’s leading to allow Him to work in their life. Sometimes a project requires many man hours to accomplish. A short-term mission team can come in with 15 people and do in a week what would take the missionary months or years to complete. I have a national pastor friend who has a goal to distribute copies of the books of John and Romans to a whole region of his country—approximately 4 million households. He can’t do that alone. At least not in one lifetime. Yet, missionary teams of 6 or 20 people can come for a week and distribute hundreds and thousands of John and Romans in just a few days. There are many projects like this which can either be completed or greatly advanced with a short-term mission group. I have seen churches go from foundation to nearly complete in two weeks. There is something to be said for having a group of people dedicated and focused on a solitary task. Some short-term mission trips are simply vacation packages put together by a church. If that is the case, don’t trivialize true missions by calling your vacation a mission trip. I saw a team come to town and spend a week with the missionary. Then they rented a big van and drove a few hours away to spend the next three days at a resort on the beach. Their week of ministry was something they had to endure so that they could go play. Is this what their view of missionary life is? Did they even think to invite the missionary who put his whole ministry on hold, and had to ignore his family for a week, to enjoy a short vacation with them? (In this particular instance, the answer was, no). Having an unforgettable time on a short-term trip is perfectly expected. But it should be unforgettable because of the wonderful ways the team was able to serve others. Not because of what they got out of the trip for their own benefit and entertainment. Now the truth is, when you go to serve others, you will get the greater blessing. The trip will be memorable because of the unexpected ways God worked in the team member’s lives. Go to serve God by serving others without a “what’s in it for me” attitude. Hosting a short-term mission team is a ton of work. It even takes work for weeks in advance of the team’s arrival. The time that the team is on the ground requires that the host missionary put everything in his life on hold. But it is so worth having people visit him on the field. It can be the highlight of his year. Missionaries may be starved for Christian fellowship. They are almost certainly starved for people to speak English with and be able to tell a joke and have people laugh. This may also be the only time every year that the missionary and his family get things brought to them on the field. When a team visits it is like Christmas for the missionaries. Often mission teams will treat the missionary like royalty. The missionary doesn’t need this, but it sure is nice. The team hangs on to his every word to learn about the people and the ministry. It may have been three years since the missionary felt like he has had any respect from his audience. It is refreshing. Though it is exhausting to host a team, it can also be very rewarding spiritually and physically. Though I have heard of missionaries having to spend hundreds of dollars of their own money to help a team that was not well prepared, most of the time it is the visitors who lovingly leave with empty pockets so that they can be a financial blessing to the missionary family. The news of a team of foreigners can spread through a small town like wildfire. It can be easy to gather a crowd. Announcements of puppet shows, medical and dental aid, or a free movie can get people to an event, but can they produce lasting results? Maybe they can. But just because you draw a crowd doesn’t mean that gospel ministry is being done. Of course I know that you need to talk with people to share the Gospel with them. If they don’t come to your event, then they aren’t going to hear the message. But also realize that some people will come to any event that benefits them in some way. This week they may be good Catholics, next week devoted Baptists and the following staunch Jehovah’s Witnesses. If there is a handout, then they will be there and have their hand out. You need to be teaching the truth with your mission team. Don’t hold an event to draw a crowd only because it looks good in pictures. Have a goal to connect with people even if it means a crowd of 20 people who will really listen instead of a crowd of 200 that is so out of control that no one can pay attention. Many of the pros can be turned into cons because of a wrong attitude. Conversely, the cons don’t need to exist if you will put the focus where it needs to be. When planning your short-term mission trip, try to address each of these 10 points and find a way you can make your trip into a spiritual victory that advances the cause of missions for many years to come. WOW! Truly enjoyed reading this article, David! Wonder if my hubby Gary & I will ever be blessed and called to do “Short Term Mission” work? Frankly, you made many right-on points throughout the entire article, David! Thank you! You’ve given me something to think and pray about. Great work here sir. I loved what you said that it is often better money spent on invfesting in a local missionary work in that nation. I know that missionaries are more and more training a local citizen for they can do much better with much less and they know the people and their customs and laws much bette. Well done and I thank God for what you do for the Kingdom. I read another article about the cons of missions trips. Depressing and not understandable to me!! I loved this article and the end where you touched on the fact that the cons don’t have to be so if you really put your heart into the mission and really think about the people involved there full time whether that be a native or the missionaries. Next post: Origin of the Bible: What is its History?